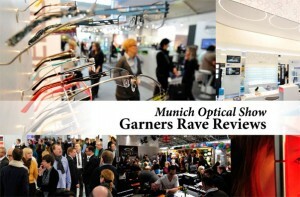 The Munich-based international optics show – opti – that was once a relatively minor global player is fast becoming the trade show to top. In a world of fierce competition, this is no mean feat. For one thing, opti’s organizers, GHM Gesellschaft für Handwerksmessen mbH, simply know how to run an excellent show, and this has as much to do with pleasing exhibitors as it does with impressing visitors. This firm has been running the show since 2008, and those years have seen steady growth, which is all the more remarkable in a time of great economic uncertainty. 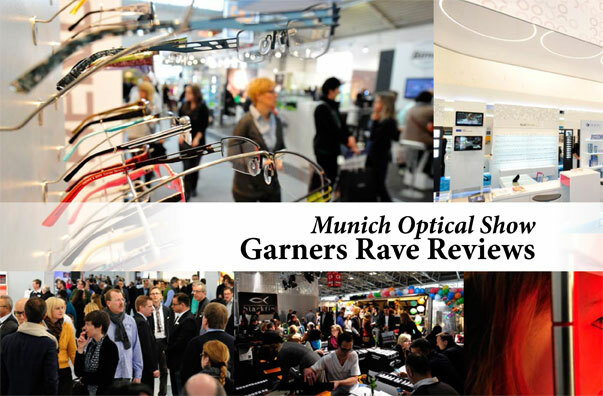 The show presents the entire spectrum of optics ranging from frames, ophthalmic lenses, contact lenses and low-vision products to shop set-up, technical equipment and devices. There are many product premieres at opti, from international market leaders and start-ups alike. Joseph Tallier, vice-president of global sales for OGI Eyewear, attended opti from January 25 to 27. It seems everyone involved was thrilled with the results of opti 2013. The reaction from Josef May, Chairman of SPECTARIS, the German Hightech Industry Association, was also very positive: “Once again, it was really great! The event was fully booked, with aisles and stands full of people and incoming orders, so the exhibitors were very happy. Instead of a downturn, the optics industry looks set to enjoy fresh impetus again this year,” he said. Kudos to opti! Next year’s show will be held January 10 to 14, 2014. You’ll want to be there, even if just to see a show that ‘runs like a Swiss clock’, says Tallier.